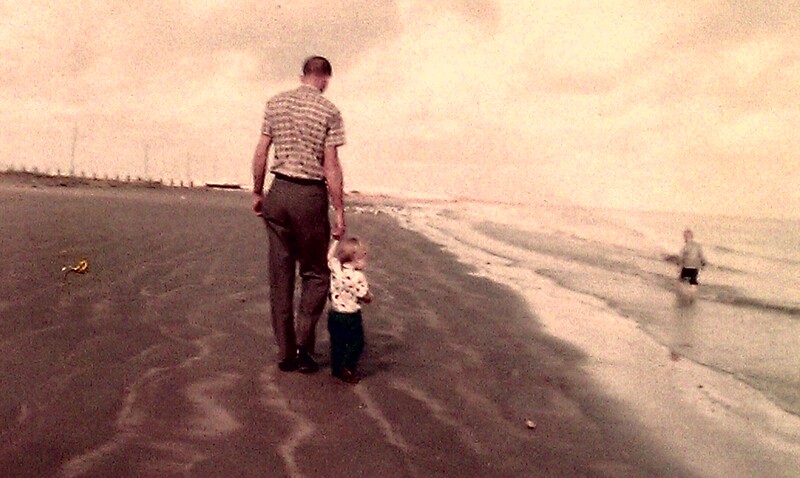 My father was tall and handsome and smelled of Old Spice and King Edward cigars. He was a sailor on an oil tanker. He worked in the engine room as an engineer. Mother would take us with her to see him when he came in to port, especially in Texas City. We would stay at the Holiday Inn and always drove out the long jetty while we were there. We spent more than one Christmas in that motel because Daddy was in port. The smell of an oil refinery is perfume to me. It means getting to see Daddy. We would go to the dock and watch them tie up the ship sometimes. Often, as soon as the gang plank was down, a tall, slender man, broad shouldered, long legged, would stride down in his white tee shirt and dark khakis to greet us. In a few moments, he would climb back up to the ship to finish his shift. Later, we would return to pick up that same smiling sailor in his fresh white tee shirt and camel colored khakis smelling of Old Spice. Mother was so in love with him, it made me love him, too. He and I loved each other. He had struggled apparently all his life with emotional issues and developed full blown mental illness in his early 40s. When he was balanced, he was wonderful! Adventurous and full of humor. When he was down, it broke our hearts. When he was manic, it broke our hearts. He was never abusive or mean. Just ill. Lying in the bed barely moving with depression. Or never putting his head to the pillow. Always working toward some project that never got moving. Trot lining usually. He loved to be out in that old boat on the lake. So do I. After he would be admitted to the hospital, Mother would spend half a day gathering up things and putting them away. We would go see him every weekend. Finally, he would get to come home. Mother and I tried to count how many electro-shock therapy treatments he had during the seventies when that was supposed to be the answer. We lost count or could not continue counting at over 100. If one could have seen up close and personal the condition he was in, it was understandable that when a psychiatrist told you the only way to get him back was to consent to such treatment, desperation answered. He loved cigars. He smoked King Edward cigars, Camel cigarettes and a pipe, too. He would sometimes get the makings and roll his own cigarettes. He always wore khakis and white tee shirts. He wore top siders in the summer. He kept his hair clipped completely off. Mother would use the clippers with no guard and buzz his hair off every few weeks. If it was cold, he would wear a flannel shirt and a small black toboggan. He read Louis Lamour westerns avidly. He would read them over again, making a little box “x” inside the cover to record reading and re-reading the different stories. He liked lemon meringue pie and homemade banana pudding with meringue browned in the oven.